Definition of Totemism: What is Totemism? Totemism is belief in the kinship of a group of people with a common totem. The word totem is derived from the Ojibwe (Chippewa) word 'odoodem' meaning "his kinship group" signifying a blood relationship. 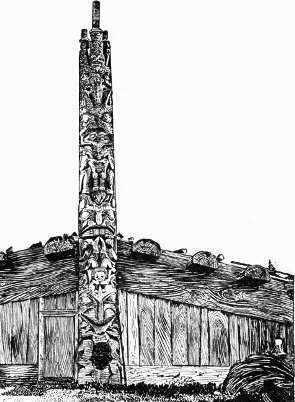 Totemism was the the practice of having a natural object or animate being, such as as a bird or animal, as the emblem of a family, clan, or tribe. Totemism encompassed a system of tribal organization according to totems. A totem was believed to be mystically related to the group and therefore not to be hunted.